It’s beyond comprehension how ESPN The Magazine could omit Michael Phelps from its new list dubbed the “Dominant 20” athletes of the past 20 years. Ponder those facts for a moment, and then take a look at who made the list. Here’s ESPN’s top 10: Tiger Woods (golf), LeBron James (NBA), Peyton Manning (NFL), Jimmie Johnson (NASCAR), Roger Federer (tennis), Annika Sorenstam (golf), Michael Schumacher (Formula One), Floyd Mayweather Jr. (boxing), Marta (soccer) and Usain Bolt (track). Rounding out the list (in order) are Lionel Messi (soccer), Serena Williams (tennis), Lauren Jackson (basketball), Ronaldo (soccer), Novak Djokovic (tennis), Allyson Felix (track), Barry Bonds (MLB), Mike Trout (MLB), Manny Pacquiao (boxing) and Tom Brady (NFL). There are numerous excellent choices on this list. Bolt is shockingly too low on the list at No. 10. He’s an absolute top five, it says here. Yes, victories matter. But Bolt’s charisma and popularity resonated with the general public, including casual sports fans, the way no other track and field athlete has this century. In this era of specialization, the Jamaican speedster’s triple-triple triumphs in the Olympic 100 meters, 200 and 4×100 relay in Beijing, London and Rio de Janeiro in 2008, 2012 and 2016 cemented his status as a generation-defining icon and superstar. Like Phelps, Bolt was the headliner at multiple Olympiads and world championships. Bolt’s electrifying 200-meter dash at the 2009 IAAF World Championships on an August night in Berlin smashed the previous mark. His world-record time of 19.19 stands as a symbol of all-time greatness. I witnessed that electricity at the Bird’s Nest in Beijing and from inside Olympic Stadium in London and no other athlete carried the pageantry of sports with the same big-time moments and theater the way Muhammad Ali did on his fight nights. No one came even close. 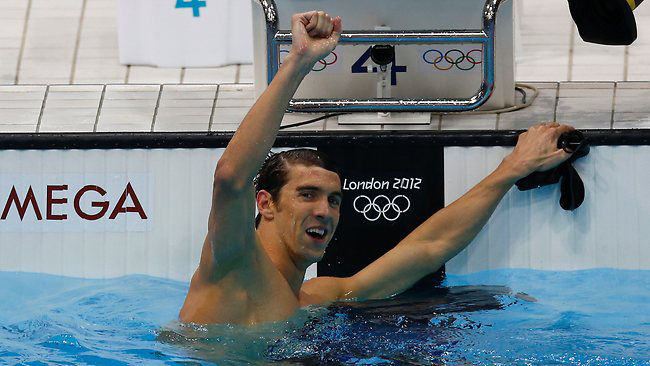 But Phelps provided an insatiable appetite for media coverage of races in the pool, not just on the track. When Phelps’ quest to shatter Mark Spitz’s record of seven gold medals, achieved at the 1972 Munich Games, became a defining story of the Beijing Games, the narrative’s backdrop always contained this question: Is there more hype than substance to this quest? Are the producers drumming up the plot in an attempt to increase TV ratings? Sure, they wanted more eyeballs tuned in, but Phelps’ competitive fire was at an entirely different level than everyone else’s at the pool. 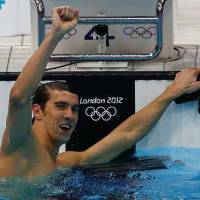 As Phelps racked up win after win after win — eight in total — in August of 2008 — in Beijing, nobody needed an Olympians for Dummies summary to tell them what he accomplished was above and beyond what was capable for 99.999 percent of athletes. Ranking the feats of hugely successful athletes is not an easy task. Nor should it be. Furthermore, King Kohei Uchimura, often described as the greatest male gymnast of all time, experienced a remarkable run from 2009-16 in which he captured the gold in six straight all-around events at the world championships, with a brilliant pair of Olympic golds tossed in to reaffirm his greatness, doing that in 2012 and 2016. Who goes 7-for-7 with the biggest pressure on their back, let alone also while also leading their compatriots to team titles as Uchimura did at worlds in 2015 and a year later in Rio? Here’s one man’s top six: Phelps, Bolt, Tiger, Federer, Brady and Uchimura. I leave the final word to former University of Southern California swimmer Karen Crouse, a talented sports reporter for The New York Times who has chronicled Phelps’ career for years. “A list of the top athletes of this century without Michael Phelps on it is a list not to be taken seriously,” Crouse concluded.